1. What does Nehemiah Community Revitalization Corporation do? 2. How can my organization partner with Nehemiah? First, spend some time on this website getting familiar with the types of projects with which we have been involved. Next, think about what kind of project your organization would be interested in providing to your community.Also consider what resources your organization has and how those resources can be best utilized. Then, contact us to discuss how to develop a project. 3. Where can I find information about homelessness and affordable housing? Please see our list of helpful links. 4. Do you provide down payment assistance? Rental payment assistance? Utility payment assistance? The South Carolina State Housing Finance and Development Authority has several homeownership programs. Nehemiah does not provide assistance with rent or utility payments. 5. Where does Nehemiah operate? Nehemiah’s service area is defined as the entire state of South Carolina and neighboring states. 6. Are you sure Nehemiah’s not making a profit on our neighborhoods? Nehemiah Community Revitalization Corporation is a state-certified non-profit organization. As such, it is audited yearly by independent accountants, and the audits are reviewed by the state (for more information about non-profits in South Carolina, please see the SC State Housing Finance and Development Authority). Neither the corporation, its staff, nor its board members make a profit on Nehemiah’s developments. The corporation collects developer’s fees from completed projects and receives operating assistance from various entities to fund its activities and pay its staff. 7. I thought Nehemiah just developed housing. Is this true? Since 1993, Nehemiah Corporation has developed over 1,230 units of affordable housing in South Carolina in partnership with organizations around the state. Realizing the need for more economic development in troubled communities, Nehemiah Corporation reorganized in 2004 under the name Nehemiah Community Revitalization Corporation. Our expanded mission calls us to help organizations build capacity to both develop housing and create economic opportunities in their communities. 8. Do you provide housing counseling? Credit counseling? We provide credit and housing counseling to persons who have been identified for homeownership opportunities in our developments. (We are sorry, but we do not have the resources to provide housing counseling to others.) Both HUD and the South Carolina State Housing Authority maintain lists of approved housing counselors. National Foundation for Credit Counseling maintains a database of credit counselors. 9. Where has Nehemiah developed housing? 10. Where is Nehemiah currently working? We are currently developing projects in Aiken, McCormick, Greenwood, Georgetown, Greer, Gaffney, Anderson, Spartanburg, Anderson County, Pickens County, Greenville County, and Oconee County. 11. How can I be considered for a lease or purchase of housing Nehemiah has in development? Nehemiah is presently building homes in Greenville and considering lease/purchase possibilities in Anderson and Greenville Counties. Persons in these communities can obtain homeownership applications by contacting us at the e-mail address or calling Natoshia Mayer at (864) 655-5855. 12. I am or about to be homeless.Who can I contact for help? The Upstate Homeless Coalition of South Carolina has housing opportunities for persons who are experiencing homelessness. 13. Why should I care about affordable housing and community development? Caring about affordable housing and community development means being concerned about making neighborhoods the best they can be. 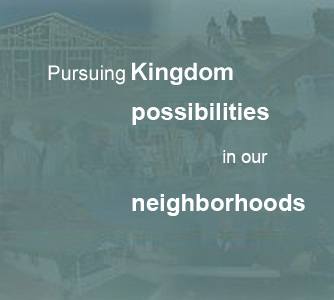 God sees in each of our neighborhoods a Kingdom possibility. Kingdom building begins with people recognizing their spiritual giftedness and utilizing their gifts to God’s glory. The end goal is a neighborhood where quality housing is affordable to everyone, people are sharing their gifts to the betterment of each other, and everyone is living in economic security. This vision touches the Kingdom of God. 14. My community really needs affordable housing. How can I get involved?